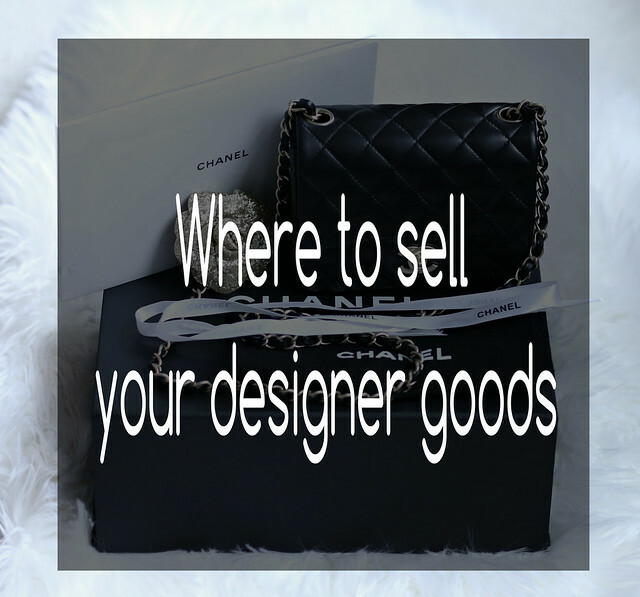 Some of you have expressed an interest in knowing where to sell your designer goods in this post. Today, I wanted to touch base on a few key points. As a disclaimer (and I don't know why I always feel the need to throw one out there), I am not an expert. I am just simply sharing what I know through trials and errors. When it comes to reselling your designer goods, there are 2 options: sell the items yourself and consign your items. Like everything in life, each has its own pros and cons. - Advantages: You figure out the best price for your items and more than likely, you'll make the most money by selling them yourself. - Disadvantages: You do all the works including photograph/market the items, answering questions and shipping once your items have sold. - It takes some time to build a large amount of positive customer feedback (assuming you're new to eBay). The larger number of positive feedback, the higher your stature in the marketplace. - Disadvantages: You'll get much less money than you would if you sell the items yourself. - Most consignment sites do offer 2 options: consign and buyout. No matter which option you choose, don't expect a high offer. - If you decide to consign your items: they'll keep 25% - 30% on the portion of the sale (that is huge!). - If you decide to take the money upfront, they'll subtract 35% - 40% from the estimated sale price. There were times when I felt like my designer bags were worth next to nothing because of their laughable offers.